Have you ever purchased a snack or drink at a concession stand at a Meredith or Hoover event? Concession stand sales generate the most money to help support the Booster Club’s mission. 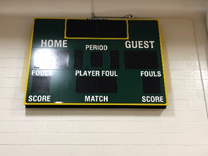 Parents who volunteer in the concession stands not only raise money for their groups, but they help promote a great experience at Meredith and Hoover activities. 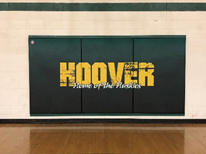 Upgraded features in the small gym at Hoover were possible due to Booster Club funds. You can help by joining the Hoover-Meredith Booster club. Get your membership form here.